Will it interfere with war calls? The weight of war on the telephone lines is heavier every day. We can’t build the new lines to carry it because sufficient materials aren’t available. We’ve got to make the most of the service we now have. 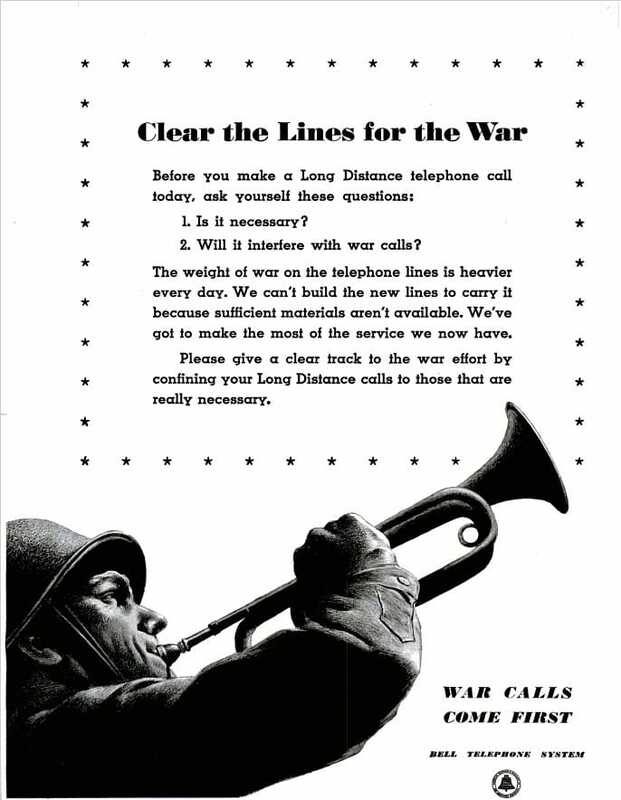 Please give a clear track to the war effort by confining your Long Distance calls to those that are really necessary.